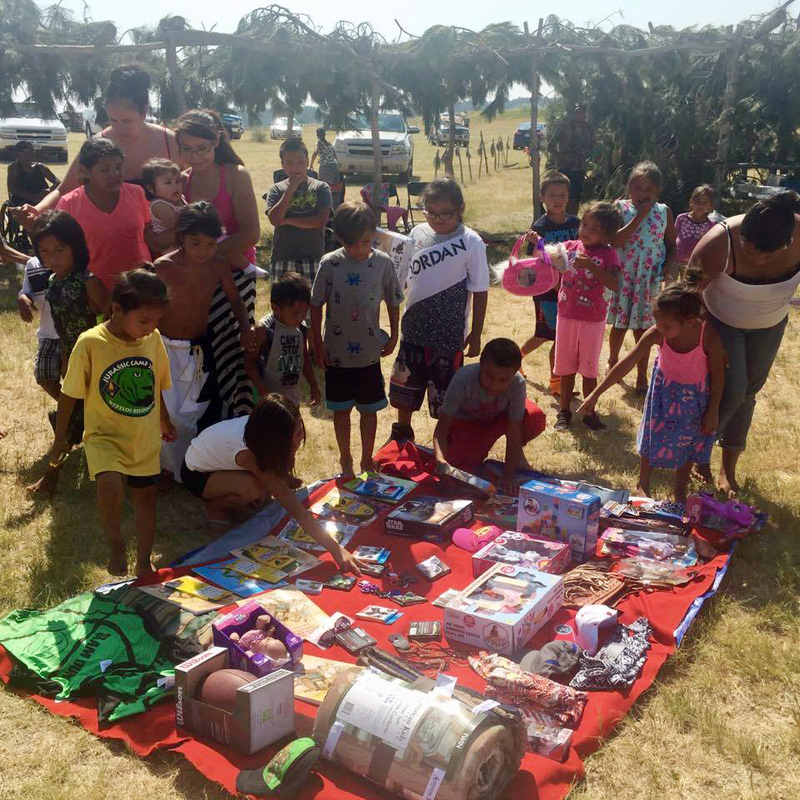 On the last day of the Okiciyapi “Helps One Another” Hocoki Sundance at the Rosebud Reservation, a children’s giveaway took place. The giveaway was coordinated by our dear Karen McCormick with the support of her family members. As many know, Karen has had a strong connection with the residents of the Rosebud Reservation and regularly sends items to the reservation for the Christmas Giveaway. Karen is now getting ready for the Back-to-School giveaway that helps the children on the reservation with school supplies. This project has helped hundreds of families who live on the Rosebud and Pine Ridge reservations. Its success could not happen without your continuous donations. On behalf of the TOS board and our coordinator, Karen McCormick, we would like to thank all of you who have supported this project through the years. May it continue to flourish and enrich the lives of the Lakota people.